Meanwhile, Indian Envoy to UAE Navdeep Suri assured that the Indian embassy was trying hard to send Sridevi’s body to India at the earliest. “Our embassy and consulate are working closely with local authorities to expedite the return of Sridevi’s mortal remains and also keeping Kapoor family apprised. It is our endeavour to send mortal remains of Sridevi to India at the earliest, ” Suri told ANI. 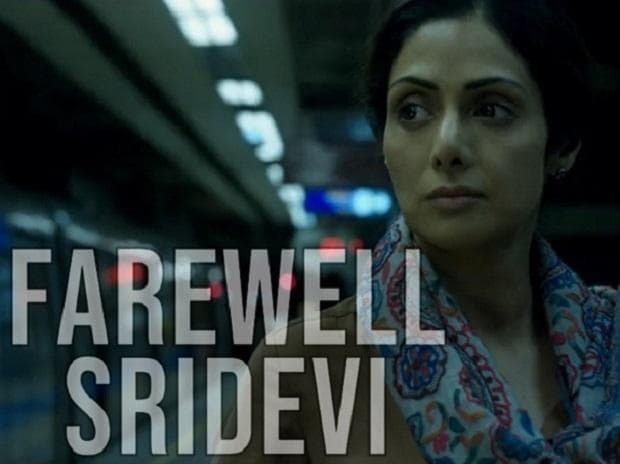 Sridevi’s death took a new twist on Monday as her autopsy report revealed that she died due to accidental drowning and not cardiac arrest as reported earlier. The autopsy report has also revealed that there were traces of alcohol in her blood. Today, her body will be moved to the AL Muhaisana embalming unit and will be repatriated to Mumbai once all the paperwork and investigation has been completed. There have been conflicting reports on the questioning of Boney Kapoor. According to several media reports, Boney Kapoor was summoned by the Dubai police for questioning. However, Dubai-based Khaleej Times reported that Kapoor was not summoned by the police. Kapoor was questioned only at the time of the discovery of Sridevi’s body at the hotel room, the report further said. 1. Police record Boney Kapoor’s statement: Police recorded the statement of Sridevi’s husband and noted film producer Boney kapoor, the Gulf News reported on late Monday night. According to media reports, Kapoor was summoned by the Dubai police to Bur Dubai police station for investigation. However, a Khaleej Times report denies that Kapoor was summoned by the Dubai police. The report says the police had a conversation with Kapoor when Sridevi’s body was discovered at the hotel room on the night of death. Citing sources in the Dubai police, the report further says that Kapoor was not called by the police for any further interrogation. 2. Sridevi’s body remains in Dubai: Sridevi’s body was expected to reach India on Monday but it did’t, pending paperwork. ” Our experience in similar cases tells us that it does take 2-3 days to complete processes,” India’s Ambassador to UAE, Navdeep Suri said. He further said that the Indian embassy was trying hard to send her mortal remains to India at the earliest. Dubai police sources, told the Times of India that clearance for the body to be taken to India would be given only after questioning has been completed on Tuesday. 3. Autopsy report: The forensic report by UAE’s health ministry on Monday revealed that the cause of the actress’ death was ‘accidental drowning’. According to UAE’s Gulf News, Sridevi was under the influence of alcohol in her hotel room when she lost her balance, fell into the bathtub and drowned. She was immediately rushed to Rashid Hospital in Dubai. 4. Celebs at Anil Kapoor’s house: Bollywoood celebrities, including Shah Rukh Khan, Deepika Padukone, Ranveer Singh, were spotted outside Anil Kapoors residence. South Indian superstars Kamal Haasan and Rajinikanth were also among the visitors at Anil Kapoor’s residence.